Thanks to the lovely dark_x_huntress I just added over 200 new icons to the media archive. I’m working on getting that section built up, so look forward to more creative goodies coming your way soon. 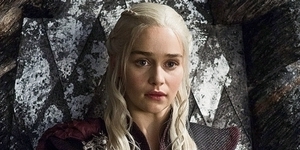 Introducing the newest Emilia Clarke fansite to hit the web, Emilia Clarke Central. The gallery is mostly complete with a current tally of 9,034 images, however, I’m still working on getting all of the content up. Rest assured that I will be working around the clock to get everything in working order. If you notice any broken links, or other glitches please let me know. We are also looking for affiliates, and donations for the site, particularly for our media archive, Eye Candy. Thanks for stopping by, and I hope you enjoy your stay!